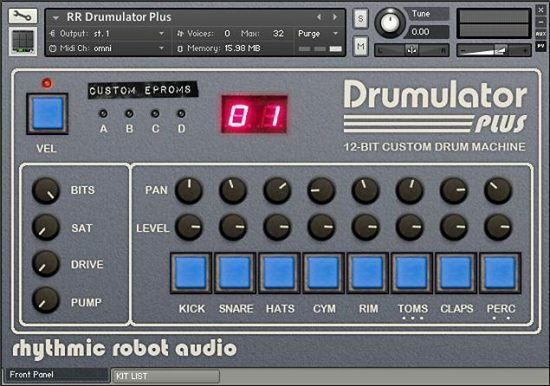 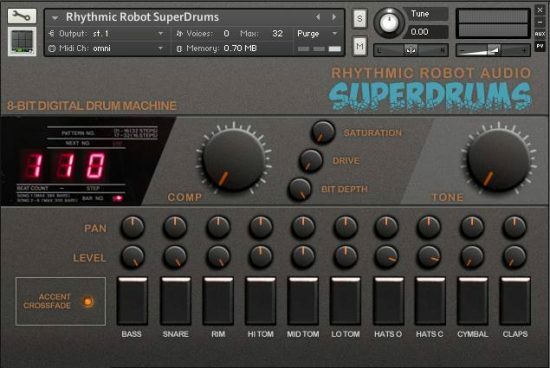 The sounds are limited but solid: kick drum, plus two flavours of snare, as well as the combinable presets (which of course tempo-sync to your host DAW). 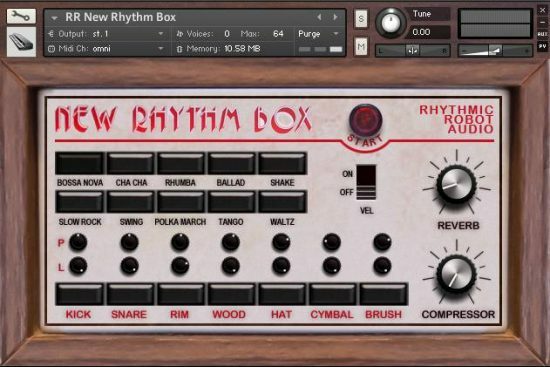 Saturation, compression and bit-crusher controls let you have a bit of extra fun with the tone. 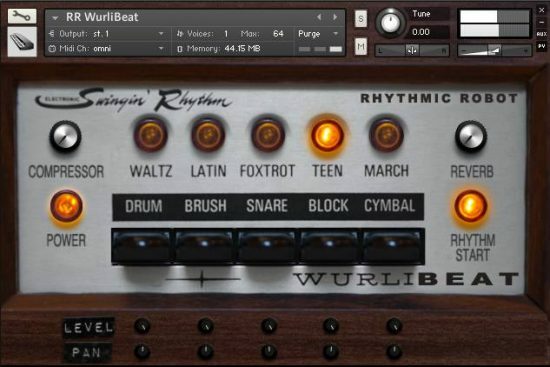 Best of all, Regal Rhythm is yours FREE when you buy any other instrument from us – even one of Mongo’s cheapies. 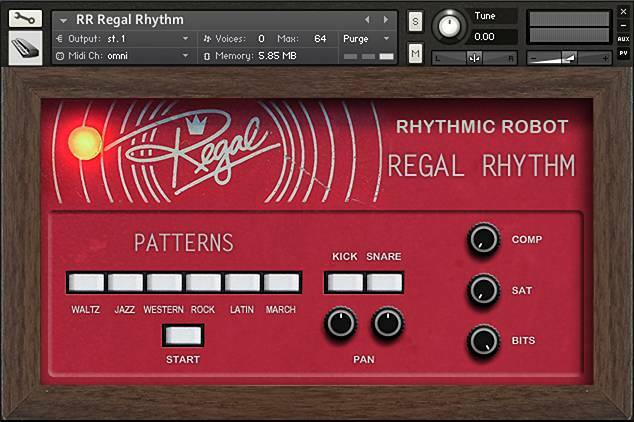 Just add it to your cart with any other product and then use the coupon code REGAL when you check out.